In the last ten years humanity has created more plastic than in all the previous years of civilization combined. Our consumption of plastic continues to grow, especially in developing markets where waste management infrastructure cannot keep up with consumption. The next ten years will be the most important time to take action, as the decision society makes toward addressing waste managing will impact climate change but also, ocean plastic leakage and the livelihoods of millions of marginalized people at the base of the recycling supply chain. It’s easy to be overwhelmed by such a widespread problem, its easy to say “There’s nothing we can do” or it’s too late”. This dangerous and destructive attitude needs to change, the change starts with individuals, with you. The aim of this blog post is to illustrate the 5 opportunities we have for tackling plastic pollution. These solutions have not been possible before but as technology has caught up so has our ability to solve the current global problems we are facing. Market research is showing consumers are becoming increasingly aware and concerned about how their shopping choices impact the environment, their community and their own wellbeing. This consciousness has led buyers to expect companies to be greener and offer more ethical products and services. According to a report published in 2014 by the Business Development Bank of Canada, Nearly one third of consumers are willing to pay a premium for ethically made products. There has also been a distinct shift in outlook in developing countries as well as in the western world, for example: in Coimbatore India, Sanjay Gupta and the Meipporul trust broke the Guinness book of world records for the most people attending a recycling education session. 12,900 people turned out for the event and household separation of waste increase increased 400%. In Surabaya, Indonesia, an NGO named Tunas Hijau is reaching thousands of people by hosting community engagement sessions from a portable school promoting conversation. An amazing talk by Dr Noam Chomsky describes the history of social movements, how they start, how they evolved and how they triumphed and this is really encompassed in these movements that are beginning to gain momentum. All social revolutions start as series of conversations. The conversations multiply exponentially due to the network effect. Eventually, when the movement reaches a critical mass then the ideas become part of the fabric of society. More people have mobile phones (an estimated 5.4B) than electricity (5.3B). This technology is getting cheaper every day and its enabling access to platforms and business models that have never been possible before. This advancement in mobile technology has made the Plastics for Change business model possible. 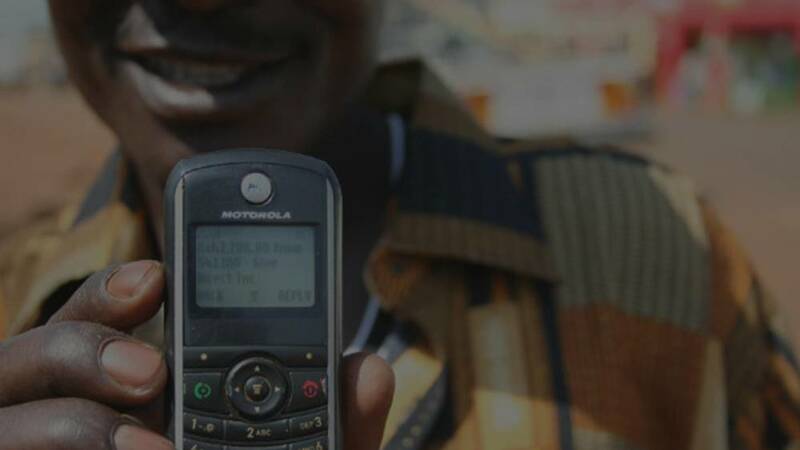 Mobile devices allow us to create markets for recycled plastic whilst building transparency and accountability into the supply chain by making real-time information easily accessible to everyone in the supply chain. Plastics for Change was awarded the request for proposal (RFP) from the Ocean Conservancy to conduct a landscape analysis of waste management in the Asia-pacific region. Throughout Asia, legislations are being designed and implemented which helps accelerate the transition towards a circular economy. In Bangalore, the municipal government has banned fast food restaurants from using any plastic, a huge step forward in the fight against pollution. Another example of change is in Indonesia, the government has already issued a tax on the importation of virgin PET, this will foster investment in recycling infrastructure. It is inevitable that within the next 5 years we’re going to see a global pricing structure on carbon emissions. Putting a price on carbon emissions would make the use of recycled plastic more competitive with virgin, since replacing the one ton of virgin plastic with recycled can save as much 2-3 tons of co2. Oil is currently heavily subsidized, so it is inspiring to see policy interventions which help make recycled plastic more competitive, whilst also protecting the recycling industry from collapsing during periods of low oil prices. When oil prices are low, the demand for recycled plastic drops as companies choose to source the petroleum derived from virgin plastic. I believe linking these pro-recycling policies to the United Nations global sustainable development goal will help increase the global recycling rate from the dismal plateau of 5-10%. The legislation in the Asia- Pacific region is of significant importance, since 82% of the ocean plastic leakage occurs in the region. One of the most exciting trends is the explosion of technological advancements we are now beginning to see. The term “moonshot” derives from the idea of shooting for the moon, something once thought impossible, is now considered to be one of humanity’s greatest achievements. When Kennedy promised to put a man on the moon, he had no idea how this goal could be attained because the technology didn’t exist, but invention paved the way for huge advancements. The average age of the engineers that built the technology that made the moon landing possible was mid to late twenties, this is replicated now with millennials leading today’s technological revolution. The World Economic Forum outlined several technologies that could emerge with the potential of having an enormous impact on the plastic recycling industry. Although, most these technologies are in the early stages, the potential for growth and eventual application is exponential. It’s tough to predict which technological breakthroughs will happen in the future. 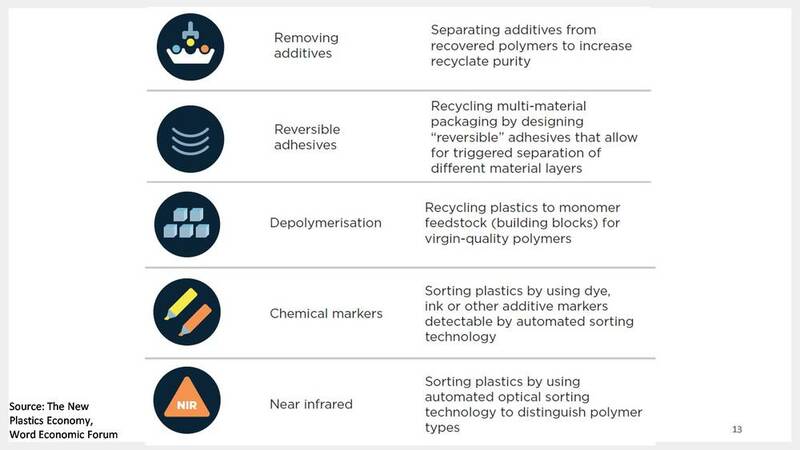 Perhaps, a virgin plastic company will source depolymerised monomers as the feedstock for creating new virgin plastic; this could change the game entirely. We’re living in an age where entrepreneurs have an unprecedented ability to create scalable impact and profitability. With access to technology and the ability to collaborate, the new generation of entrepreneurs have the world at their fingertips and are turning global problems in to viable businesses. It has never been easier for entrepreneurs to access the resources they need start a business. A great example of this is crowd-funding. Plastics for Change used a global crowd funding campaign to launch our own operations. The campaign received contributions from individuals in 26 different countries, thus highlighting the benefit of being globally connected.